Having always loved the rich, savory tastiness of creamy spinach and artichoke dip, I really wanted to try adding those delicious flavors to a baked spinach frittata. Egg dishes like spinach frittata can sometimes turn out dry or bland, and that’s unfortunate when you’ve put time and work into cooking up a recipe. 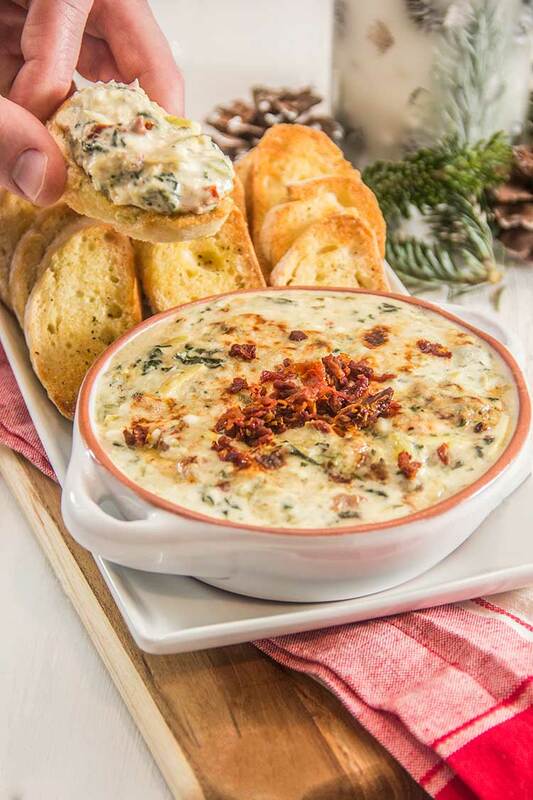 But artichoke and spinach frittata, filled with a blend of cheeses and sun-dried tomatoes, is one really delicious combination. No worries about this spinach frittata being dry or bland – these ingredients are filled with rich flavor, and the blend of cheeses adds plenty of savory creaminess. In a mini muffin pan ! 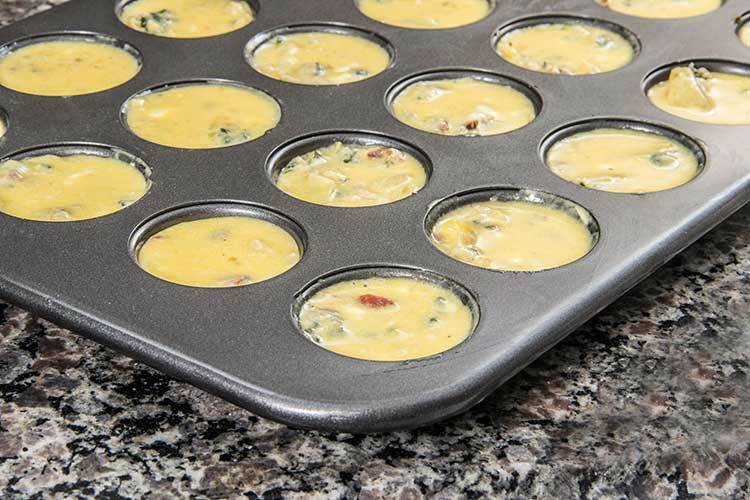 Muffin pans allow the frittata to cook quickly. And, even better, they’re quick and painless to remove from the pan. 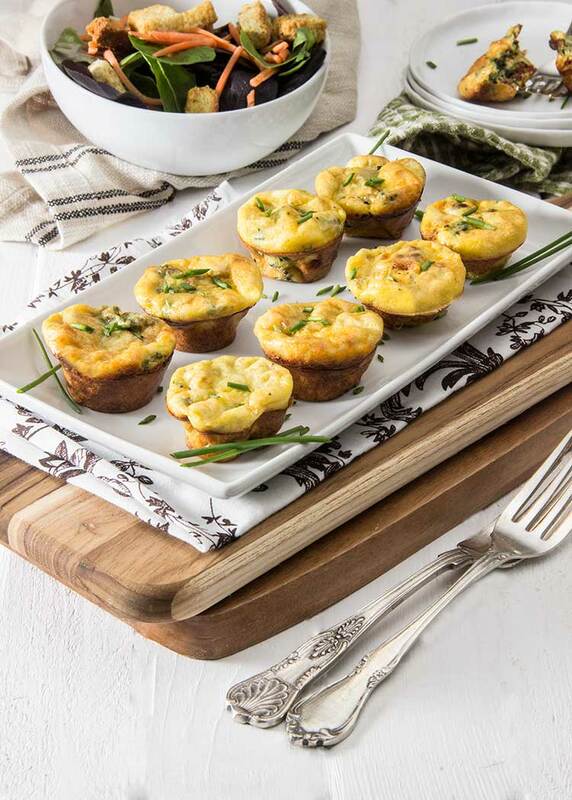 Plus, mini frittatas look special and they’re fun to serve. 1. Thaw some frozen chopped spinach, making sure you’ve squeezed every last bit of moisture out of it. 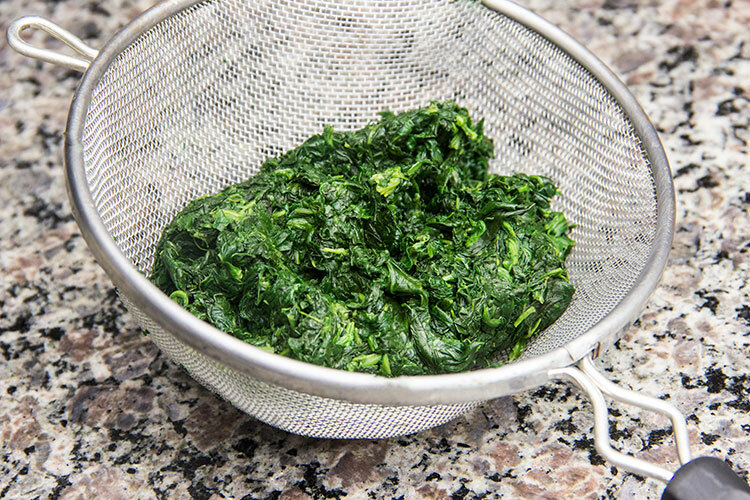 Just place some frozen chopped spinach in a heat-safe bowl, thaw it in the microwave, then place it in a fine mesh strainer . And use your hands to squeeze away until every last drop of water is removed. 2. Then grab a mixing bowl and mix up the key ingredients. 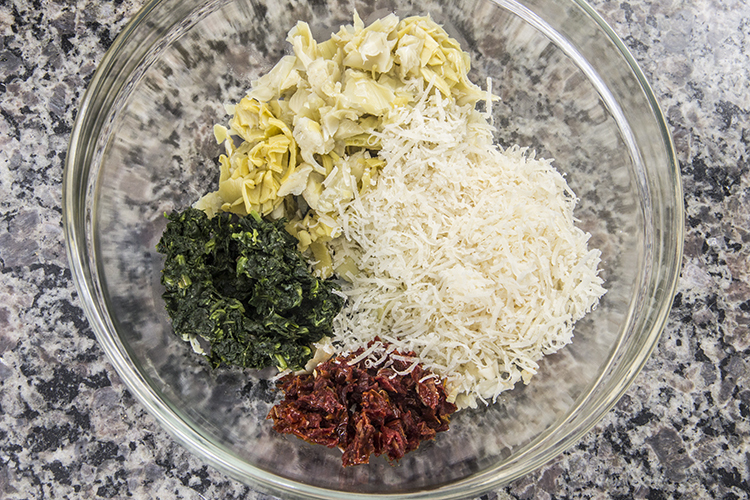 Stir up the thawed spinach, a bit of minced garlic, some rinsed and drained chopped artichoke hearts, plenty of chopped sun-dried tomatoes, and some freshly grated real parmesan cheese. 3. Next, prepare the egg mixture. 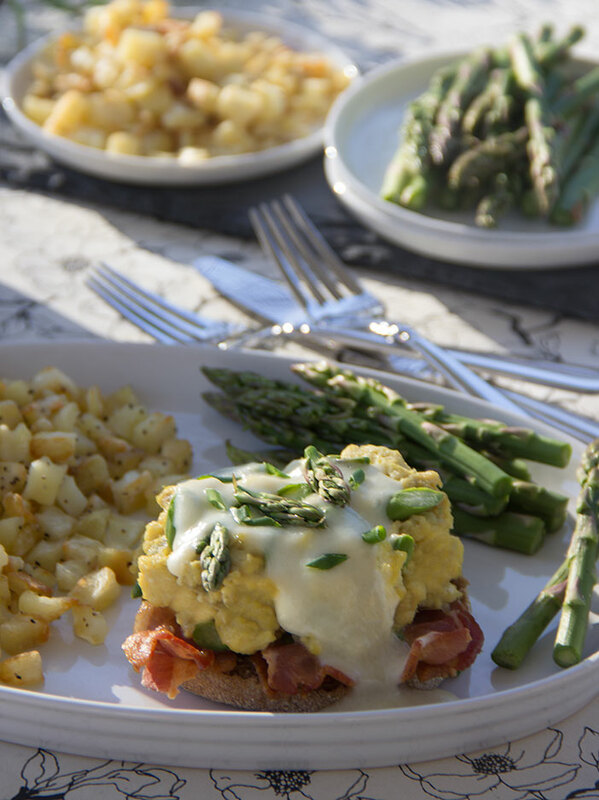 Grab another mixing bowl and add some organic eggs along with some mascarpone (Italian cream cheese). Mascarpone is a key ingredient in this spinach frittata recipe. It’s much lighter – and much easier to stir – than traditional cream cheese. 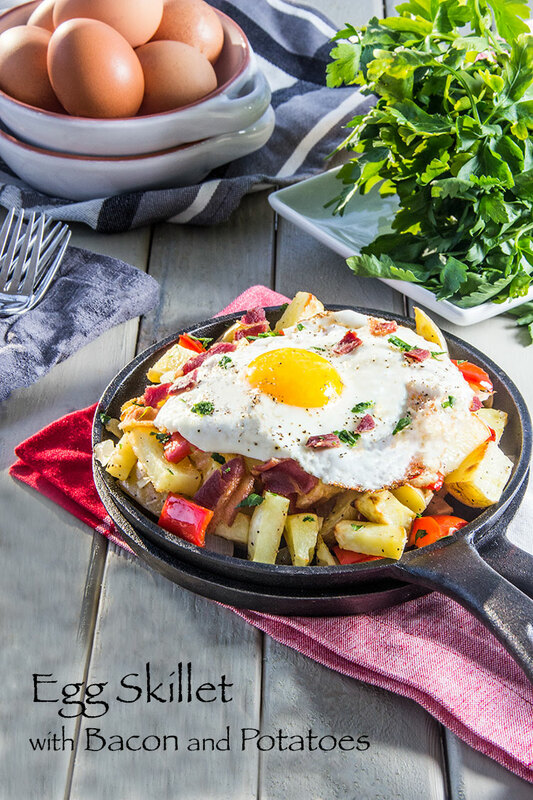 And It adds tons of rich flavor, and keeps the frittata from tasting dry. Also be sure to season the egg mixture with plenty of salt and pepper. Whisk it until the mixture is smooth and creamy. 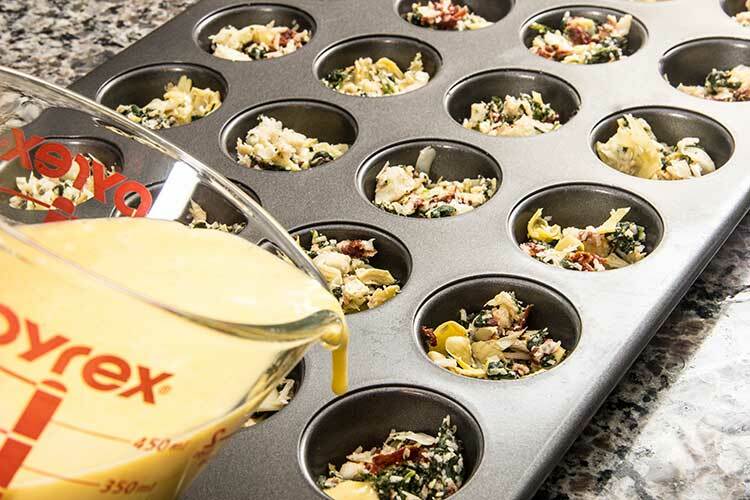 Then transfer the egg mixture to the muffin pan the easy way by using a 2-Cup Measuring Cup with a handle and a spout. 4. Fill each muffin cup nearly to the brim. The measuring cup will help you to slowly (gently!) pour some of the egg mixture into each cup. 5. Then bake them up until they’re light and airy. They should quickly, easily release from the pan, ready to serve and enjoy. 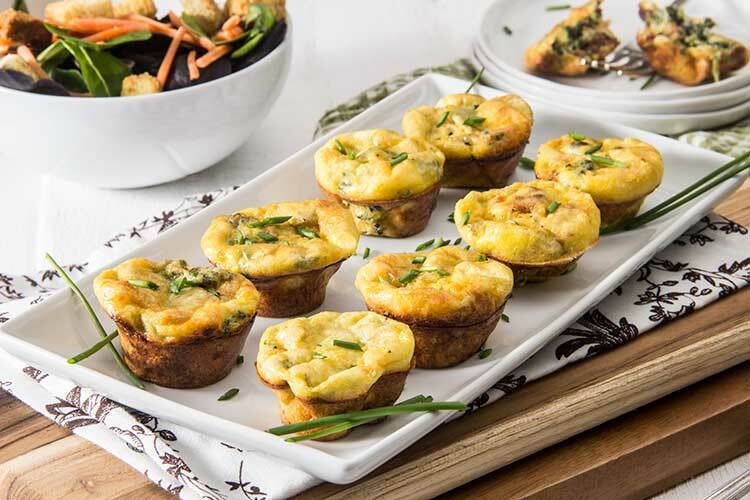 These cheesy artichoke spinach frittata minis are great for a weekend brunch. Or, served with soup and salad, a light vegetarian lunch or dinner.